Christin Call is an interdisciplinary artist who makes work at the intersection of film, dance, installation, visual arts, and poetry. She is Co-founder and Co-artistic Director of Coriolis Dance, self-producing a repertory of over 30 works as well as co-choreographing Unfixed Arias, a full-length dance concert and art installation hybrid with accompanying exhibition catalogue. 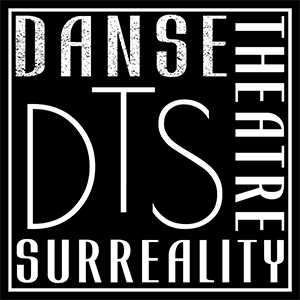 She has been the recipient of several residencies–Project: Space Available in which she created the dance performance installation An apology for Zeno and the alchemical pattern, Studio Current and Open Flight Studio for Unfixed Arias, and eXit Space Residency, which assisted in the development of her recently released short dance film Voluntary Caesura at The Pocket Theater. Christin has also self-published two books of poetry The Mountain? The Mountain. and cede the crown palaver (failed attampts, false starts, and a sincere apology). She recently joined forces with The Seattle Demo Project to begin a new short dance/arts film series What is Home an Obscure Kingdom an Opera Buffa it’s You Always You. This is her third project with Lauren Hlubny. Joshua Dent began playing cello at the age of fourteen in Kissimmee, Florida. At the age of sixteen he began learning how to improvise and exploring genres outside of the classical umbrella of music. Towards the end of his studies at Florida State University, he decided that it was best to pursue music by learning in the professional world in new ways. Since then, he moved to Nashville, Tennessee where he currently resides. His career is always changing; currently, his work ranges from playing in chamber music groups, vaudeville style bands, rock groups, and jazz ensembles, to playing with singer/songwriters and in recording studios for various genres of music, to teaching improvisation workshops to cello studios around the country. He has a heavy emphasis on cross media collaboration, especially with theater, dance, and visual arts. One of the biggest highlights has been “This is Not a Table for Three”, an experimental theater piece for actor, dancer and cellist putting together artists from New York, Seattle and Nashville in a pursuit towards communicating beyond the scope of languages we already have. With an active and fruitful career, he travels around the United States, Canada, and various locations in Europe playing in various genres of music, spending much of the year away from his home. Daniel Christensen, since 1999, has been fortunate enough to perform with Annex Theatre, Theatre22, Live Girls!, and Theater Schmeater, among many others. Most recently, he played John in the Amador:Stokes production of “Duels.” “This is Not a Table for Three,” was a thrill for Daniel, whose experience consists mainly of more traditional narrative structures. The opportunity to further push his boundaries, and the point-to-point navigation of these stories alongside Christin and Joshua, has established a lepidopterists’ paradise in his stomach.